What Did You Do This Summer? The question that nearly every parent and teacher asks their children as they go back to school. Some will have hopefully taken part in city programs, or even ventured over to the pool at Copper Sky. But for many, unfortunately, due to the temperatures and weather here in Maricopa, most of our outdoor activities and options are limited, and will answer “stayed inside,” “watched movies,” “Xbox,” and so on. But, if you were part of the Boy Scouts here in Maricopa, your options were greatly increased. What many don’t know is that the Boy Scouts is not just a camping and hiking organization for boys anymore. The Scouts have opened its doors to youth of many ages, including girls ages 14–20. 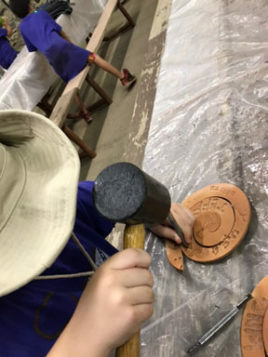 That’s right, boys and girls of all ages this summer with the Scouts were able to expand their horizons and venture off to some pretty amazing activities and locations. 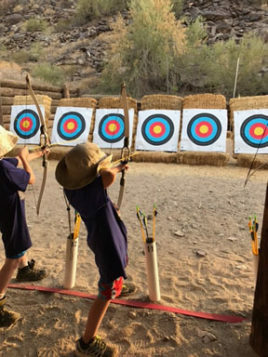 The youngest group – Cub Scouts from Pack 997 – took to the foothills of Phoenix and enjoyed Day Camp (actually afternoon/evening camp), where they swam, did craft activities, obstacle courses, BB-guns, archery and more to have fun with other kids in the outdoors under the early evening skies and cool mist sprinklers and pool. Keeping these young ones active, keeping them cool by keeping them wet and promoting fun and games, is something to break-up the summer monotony of being inside, or watching TV. From water-balloon fights to obstacle courses, these kids enjoyed a part of their summer they will remember for a long time. Some of the older boys and young men ventured further out. Troop 993 had several activities and options this summer. 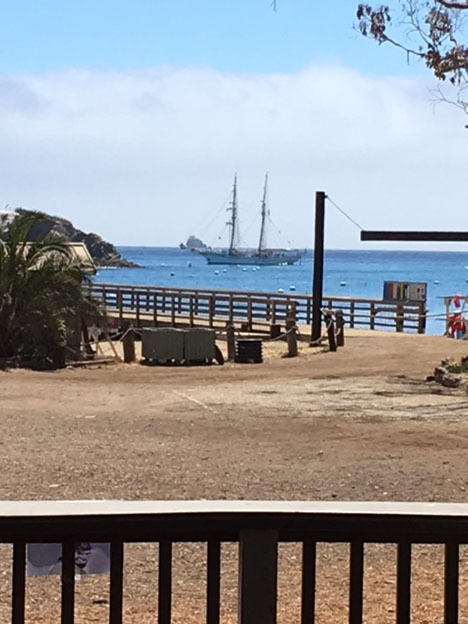 Some older boys enjoyed spending their summer both “working” and “playing” off the coast of Los Angeles on Catalina Island. 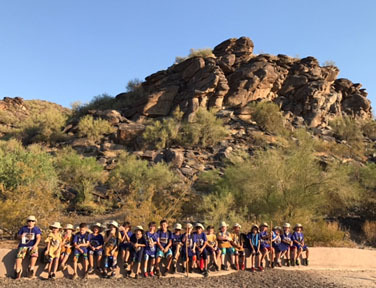 As camp staffers, ocean kayaking, paddle-boards, mountain biking and more were all part of their adventures outside Maricopa’s blazing heat. And being over the age 16, they even got paid – all in the name of fun and Scouting. 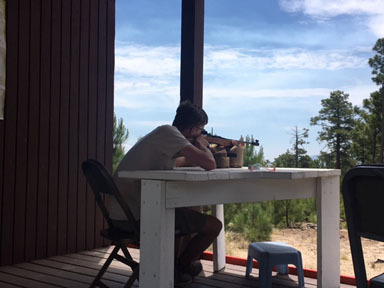 Another group from Troop 993 spent a week at our traditional Boy Scout Summer Camp north of Payson, in the shadows of the Mogollon Rim. Temperatures lower than in the valley made it more comfortable – especially at night, and the boys enjoyed activities such as swimming, horseback riding, muzzle-loading muskets, rifle shooting, climbing and archery, just to name a few. Nights were filled with astronomy and hikes, games and fun. It’s always more fulfilling when you can go away and have fun and get something out of it too. The boys earned badges and rank advancement along the way. Further still was another group from Troop 993 who visited another Scout Camp atop Mt. Lemon outside Tucson for some incredible weather at nearly 7,000-foot elevation. Doing much of the same activities as the group outside Payson, these young men were broadening their horizons by visiting a new place with new friends and new adventures. Some highlights for their summer included friendly sporting competitions, poolside activities and cool summer nights. 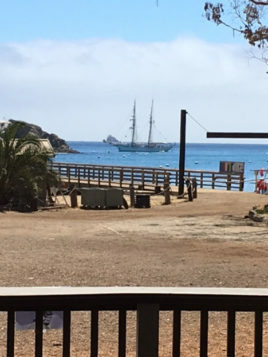 View from the Hiking Trails at Camp on Catalina Island, off Los Angeles. 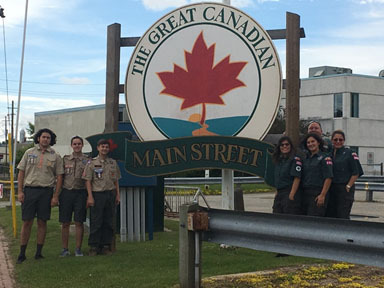 Troop 993 and Venture Crew 2993 at the Canadian Border north of Minnesota. Yet the most adventurous group were the oldest of the scouts from Troop 993 and members of Venture Crew 2993 – which is the coed program with young men and women ages 14-20. 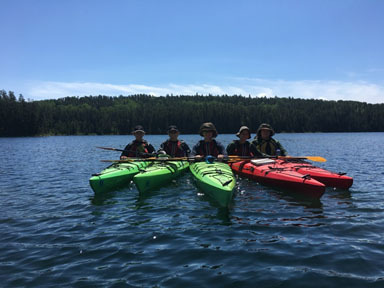 This group got to travel off to the north and western reaches of Ontario, Canada, for eight days for a kayaking trek in the beautiful mountains and vast waters up north. 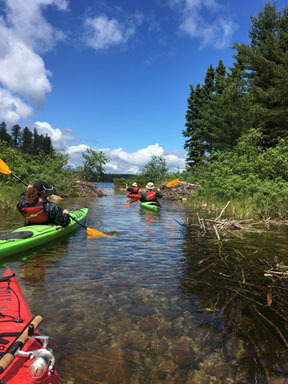 The group kayaked and camped in some of the most scenic areas our Scouts have ventured to yet, including seeing beautiful scenery, wildlife in its’ natural habitat, historic landmarks, and meeting folks from all over North America. While enjoying temperatures that dipped 60+ degrees cooler than in Maricopa – into the 40’ at night – we were awed by the sights of wild snapping turtles, American bald eagles, sea otters, beavers and more all in their natural habitat. 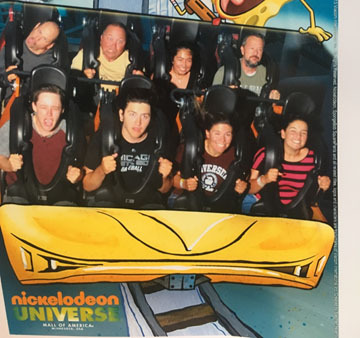 To celebrate the completion of trekking and kayaking more than 75 miles for the week, the group enjoyed a day at the Mall of America in Minneapolis, before returning home. So when your kids tell you “there’s nothing to do” next time, think of the event-filled summer the Scouting program offers – and that was just our summer. We do activities and adventures like these throughout the year, so come on by and check out this great program. Gerry Hahn is a leader in Troop 993 in Maricopa. Learn more about Scouting at GrandCanyonBSA.org.